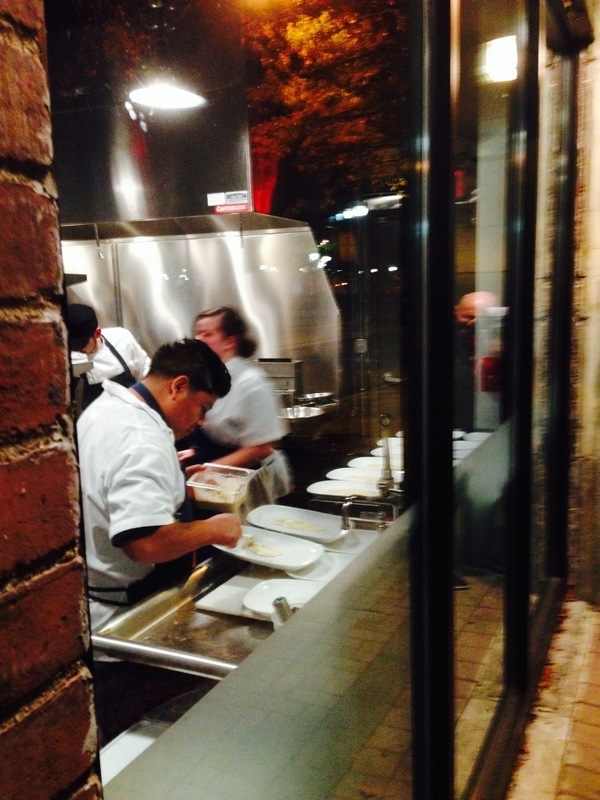 View looking inside the restaurant from the street. When you first enter Bistro B: American Bistro & Wine Bar, or peek through the large windows from the sidewalk like I did when I first visited (yes, I’m one of those people who peeks in at restaurants and peruses menus before committing to a meal) you’ll notice an atmosphere that is cozy but not cramped, and modern but not too contemporary. 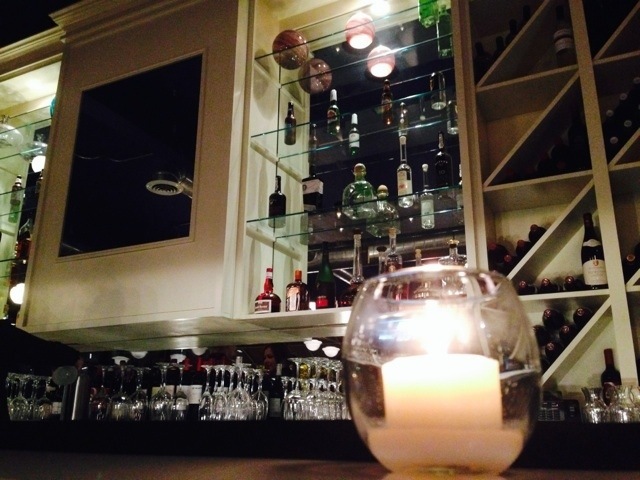 In short, it is somewhere you’ll easily commit to for drinks and a meal. View from inside looking out at downtown Bridgeport. 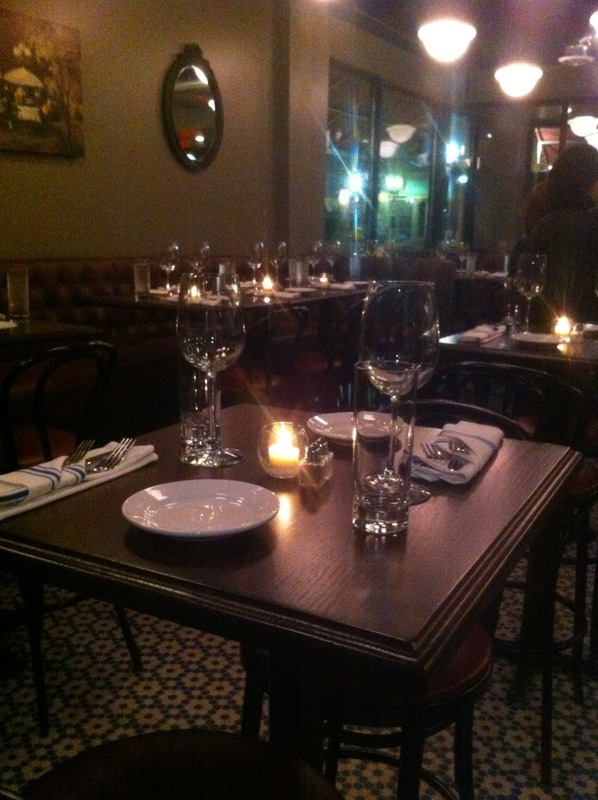 The bistro is on the small side seating 45, however the very high ceiling and enormous white marble top bar, wine shelves behind the bar that extend up to the ceiling and high top tables along with the leather booth seating, dark table tops, and subway tiles make you feel like you are sitting in a comfortable trendy food spot. 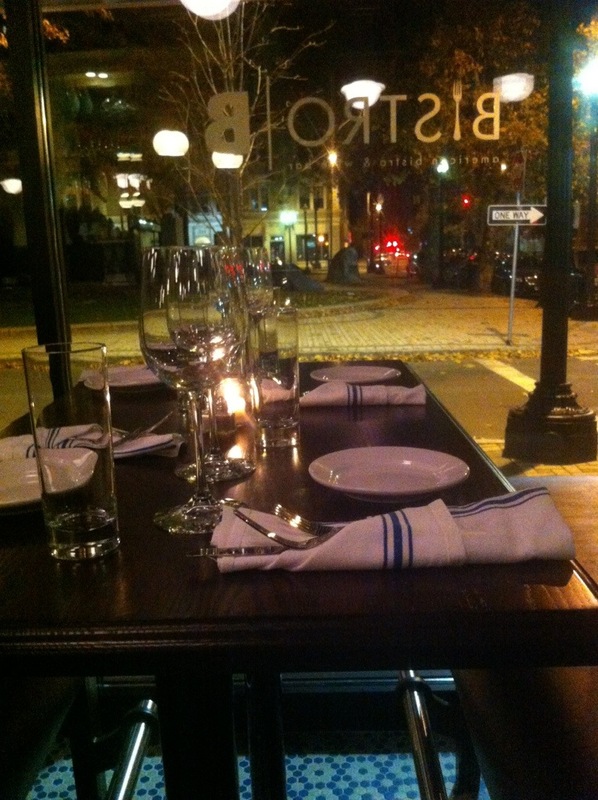 Bistro B is reminiscent of restaurants you’d typically expect to find in South Norwalk, Stamford, or New Haven, except this bistro is located in downtown Bridgeport. 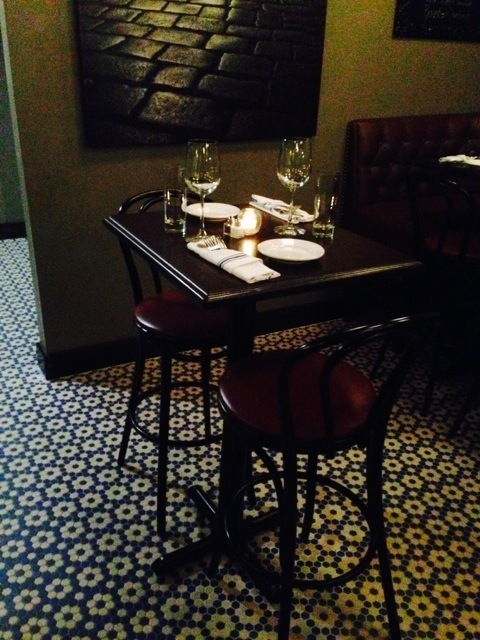 Around the corner from Barnum Publick House (you can read about my visit to Barnum Publick House here), its sister establishment, Bistro B is another addition to Bridgeport’s emerging dining scene brought to you by Chef Jason Milanese and restaurateur/real estate developer Steve Montello. 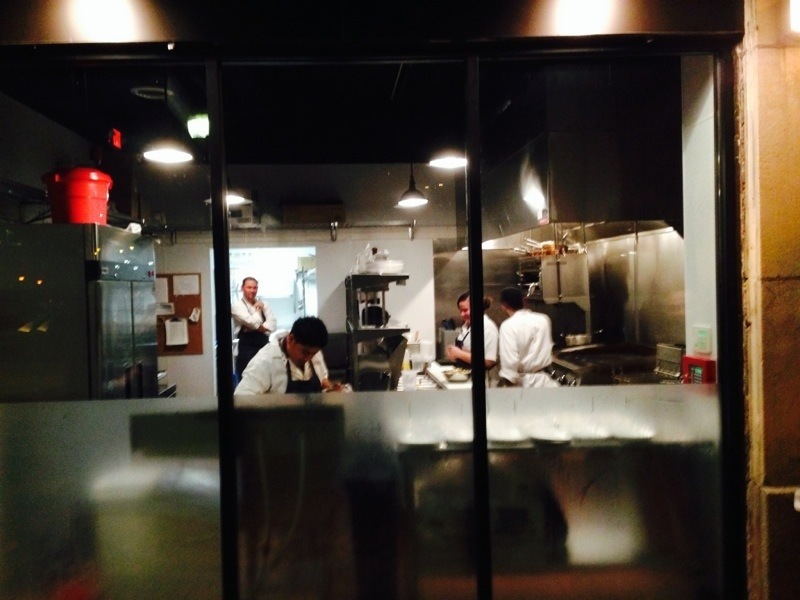 Street view window of the kitchen. 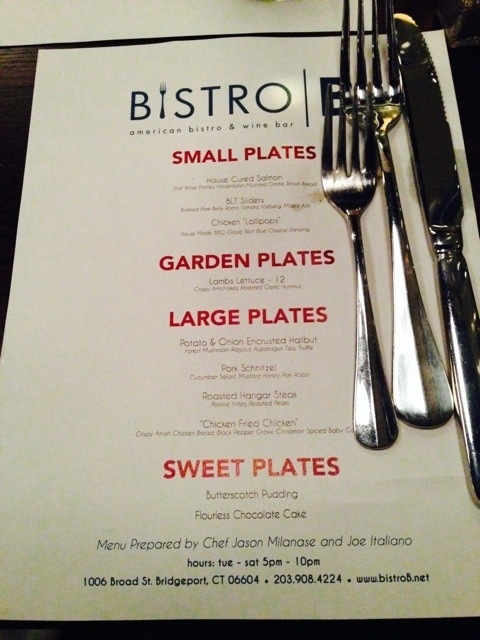 I had the privilege of attending a media dinner and experiencing Bistro B’s “from-scratch menu.” The menu is divided into plates: garden, small, table, daily (available Tuesday- Saturday), large plates, and sweet plates. We were able to sample dishes from the garden, small, large, and sweet plates. 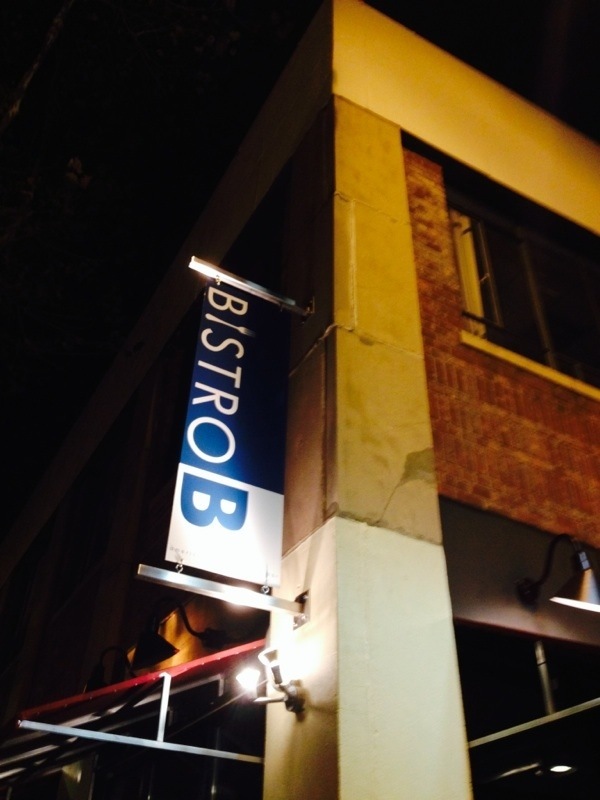 Some of Bistro B’s signature dishes include: local oysters on the half shell, house-cured salmon, crispy duck confit, hand-cut prime steak tartare, roasted hanger steak with pomme frites, and potato and onion encrusted halibut with forest mushroom ragout. 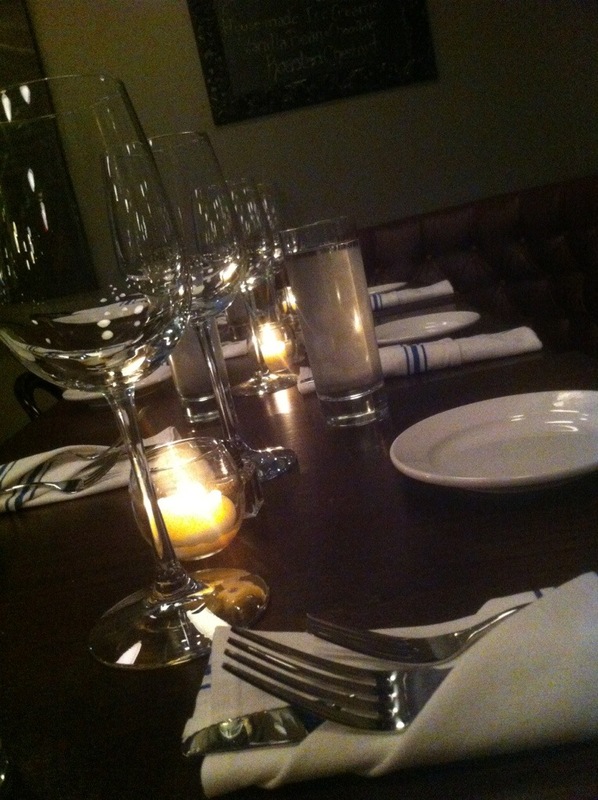 As a bistro and wine bar, I’m sure you could guess we enjoyed some wine with our meal at Bistro B. 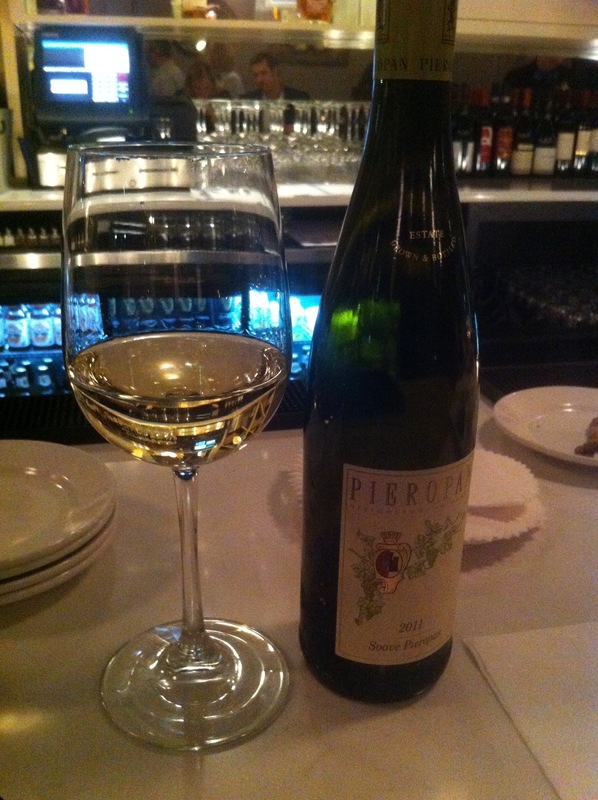 We started with Pieropan-Soave from Italy recommended by Anatoli from Talk-A-Vino. 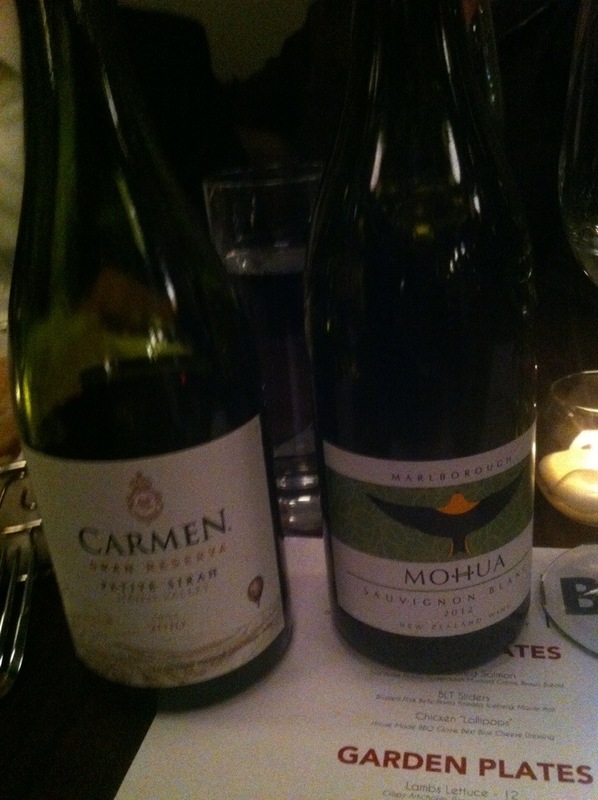 The two wines we drank while dining on the garden and large plates were a red wine from Chile, Carmen Gran Reserve, and a white wine from New Zealand, Mohua Sauvignon Blanc. 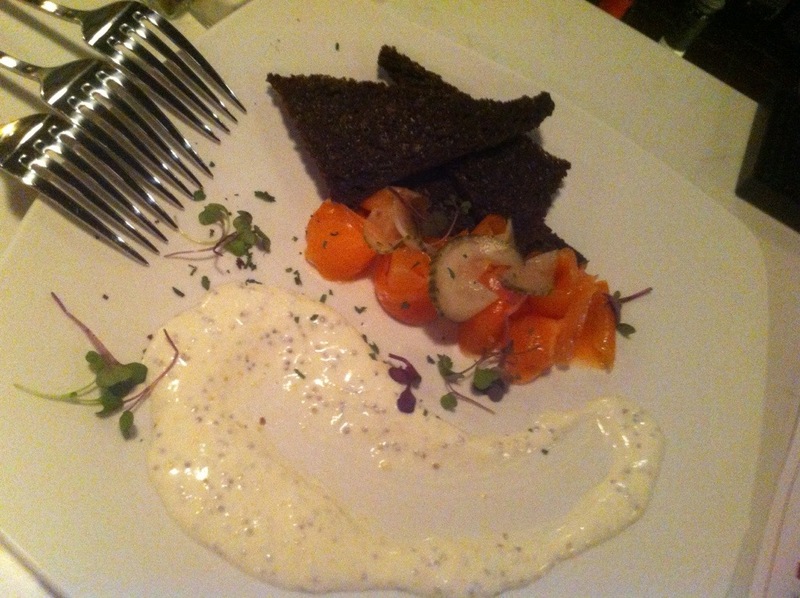 Star anise pickles, horseradish mustard creme, and brown bread make up the House Cured Salmon dish from the Small Plates menu. What I liked about this dish was both the balance of flavors between all the ingredients and how fresh all the ingredients were. The horseradish was not too strong, which I also appreciated. 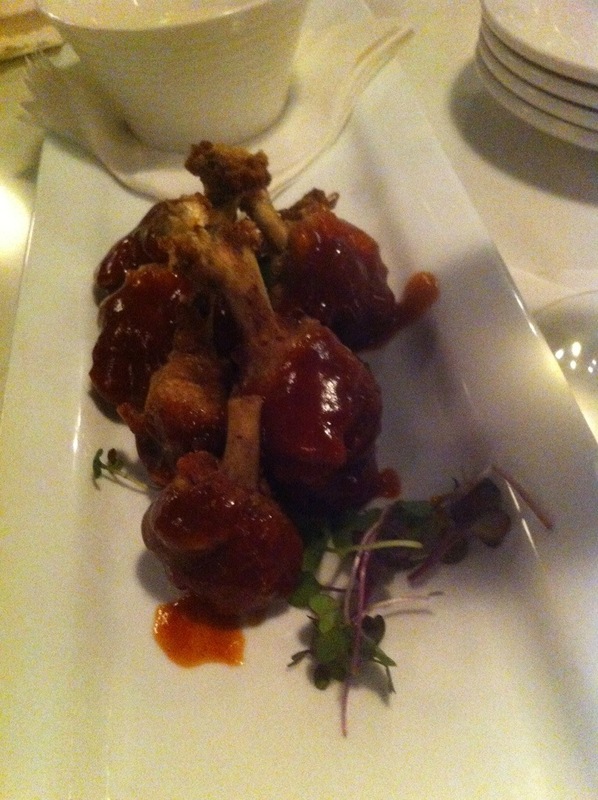 The Chicken Lollipops are basically chicken drumsticks covered in a delicious house made BBQ glaze and served with some “Best Blue Cheese dressing.” The Chicken Lollipops were a little over done on the evening we visited, but the flavor of the chicken with the house made BBQ sauce was very good and I would order them again. 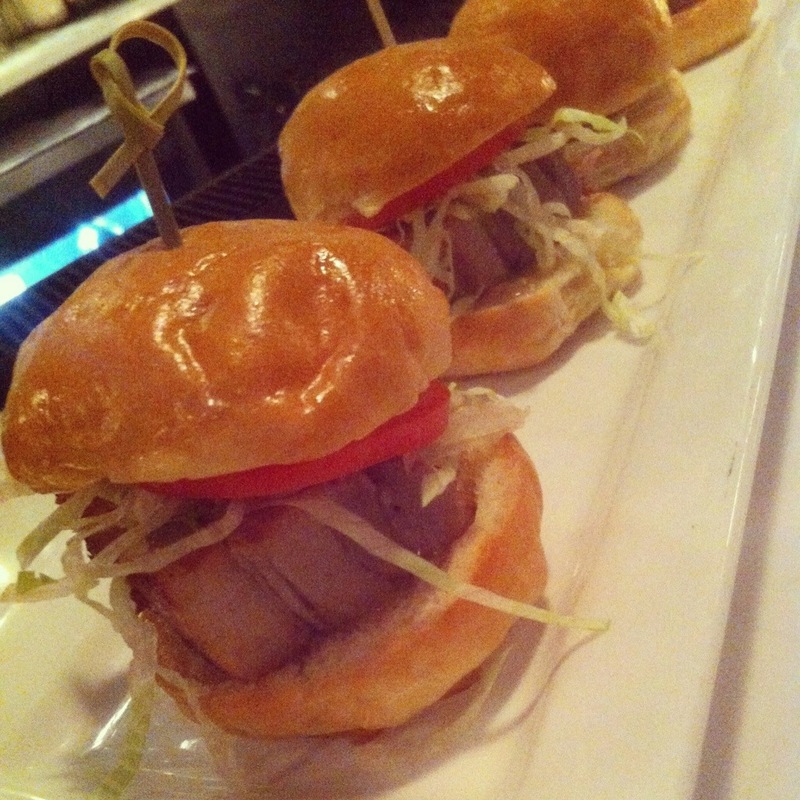 Braised pork belly, Roma tomato, iceberg, maple aioli make up these BLT Sliders from the small plate menu. This was my first experience with braised pork belly. I liked the different take on a slider – we all know and love sliders, but we don’t often hear of pork belly sliders. This is quite possible one of the best salads I’ve ever had. The salad is simple with just a few ingredients, but the flavors of the crispy artichokes, lambs lettuce, and roasted garlic hummus are anything but simple – your taste buds will thank you. The different textures of the artichokes, hummus, and lambs lettuce make this salad interesting and unique. 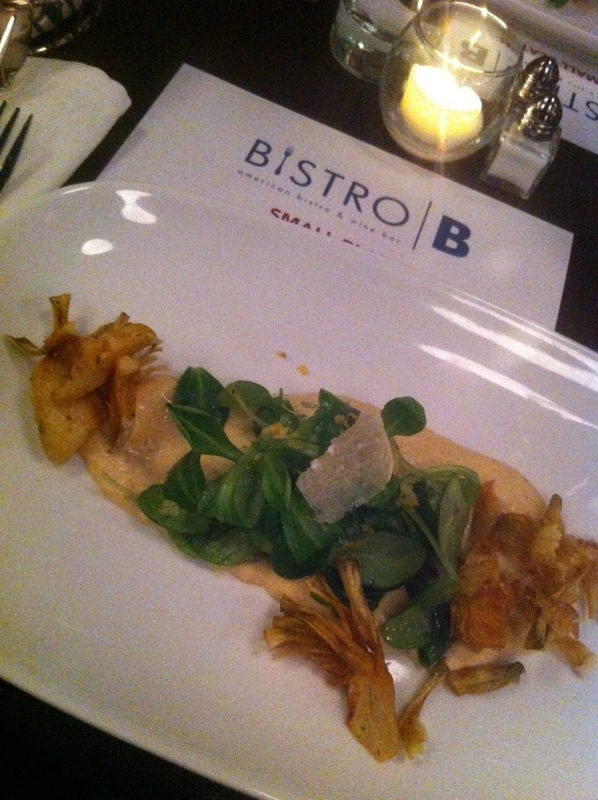 I must add that the fried artichokes were not greasy and added a little extra crunch to the salad. 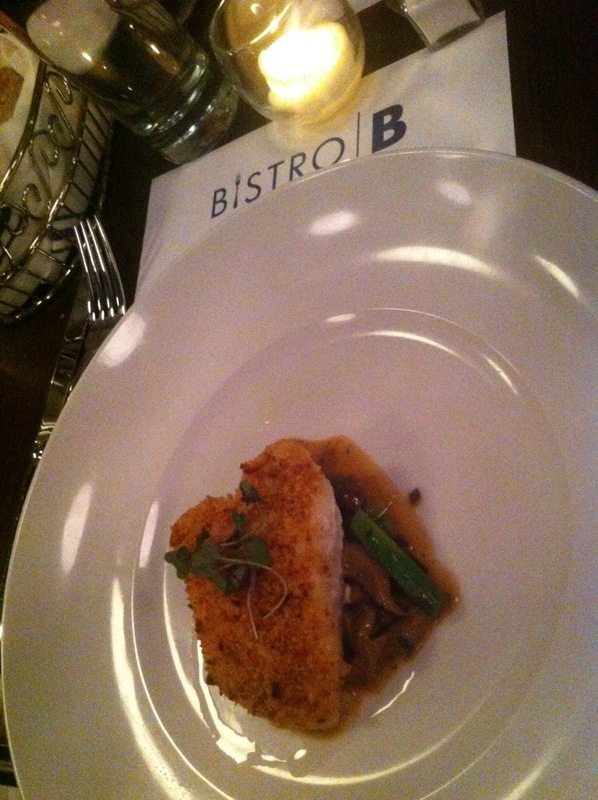 Our first large plate or main entree was the delicious potato and onion encrusted halibut presented on top of a forest mushroom ragout, with asparagus tips and truffles. The potato and onion crust on the halibut was flavorful and cooked very well and it added a wonderful texture to the dish. 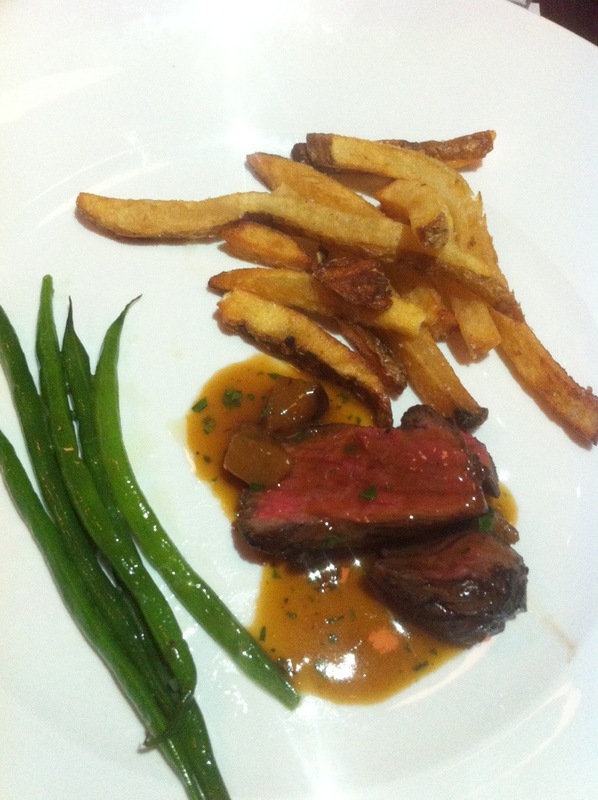 The Roasted Hanger Steak at Bistro B was cooked perfectly to a medium rare and it will melt in your mouth. Add the slight sweetness from the pears and the saltiness of the pomme frites to the flavor of the meat itself and I consider this one of my favorite plates at Bistro B, as did our entire group. 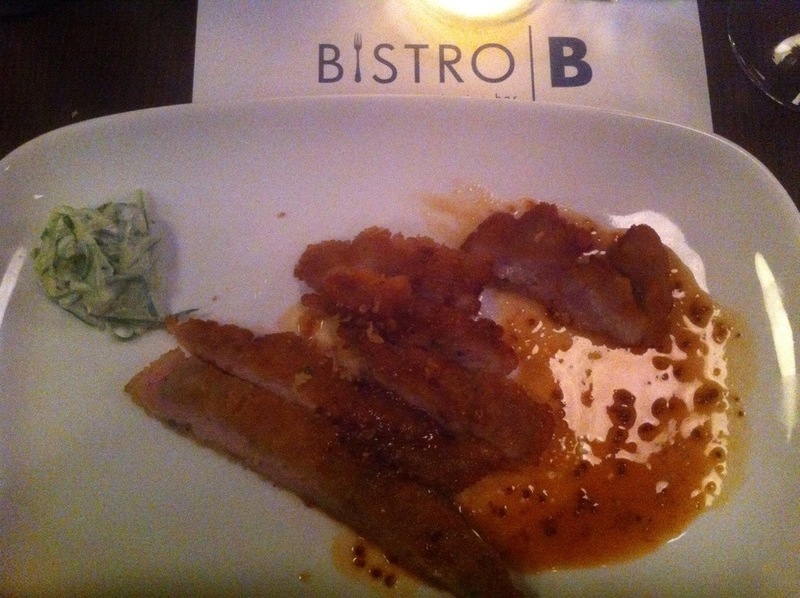 This was my first experience trying pork schnitzel and I don’t know what took me so long – it’s delicious! The pork schnitzel is tender and juicy on the inside and slightly crunchy on the outside due to the light crust. A mustard honey jus was drizzled over the top and a cucumber salad accompanied the dish. If you’re looking for somewhere different to order Chicken Fried Chicken, look no further! 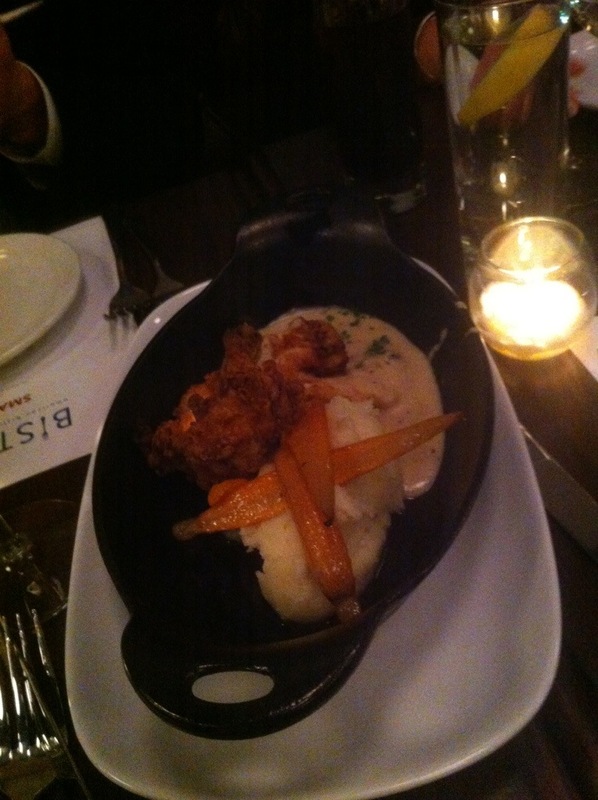 The fried chicken at Bistro B is delish! Made with crispy amish chicken breast, black pepper gravy, cinnamon spiced baby carrots and served over mashed potatoes the Chicken Fried Chicken the dish is flavorful and the fried chicken is not greasy. This dish was a hit with our entire group. 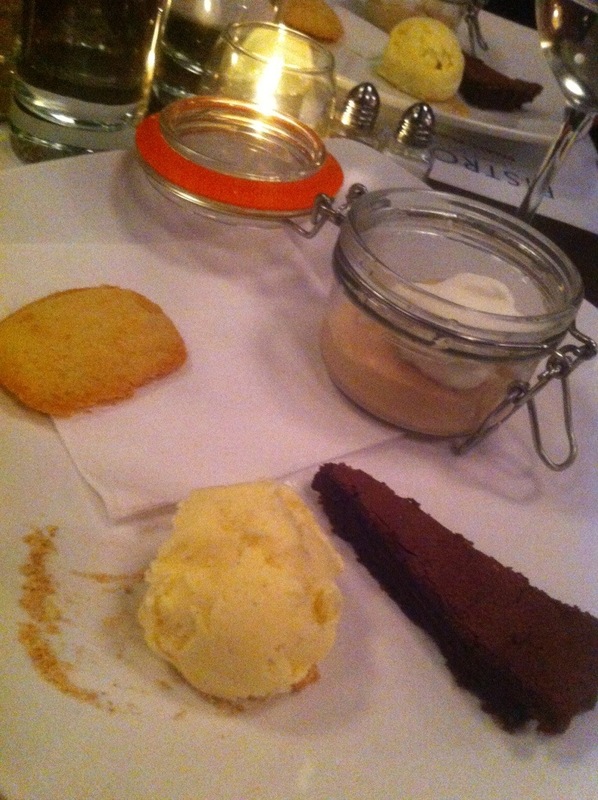 Our final course of the evening was dessert, aka the sweet plates. For our sweet plate we tried four items: Butterscotch pudding, Flourless Chocolate Cake, a Madeline, AND Vanilla Bean Ice Cream. 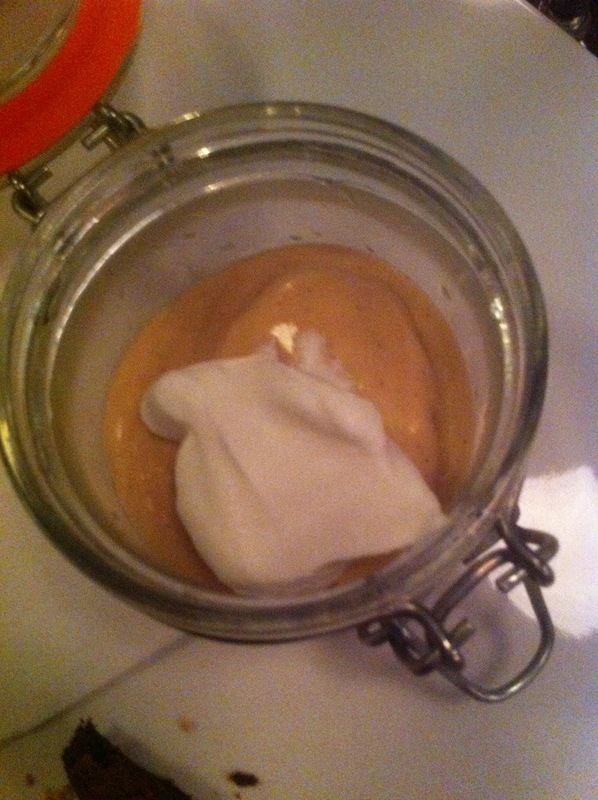 The butterscotch pudding is thick and creamy as you’d like a pudding to be with a sweetness unique to butterscotch. 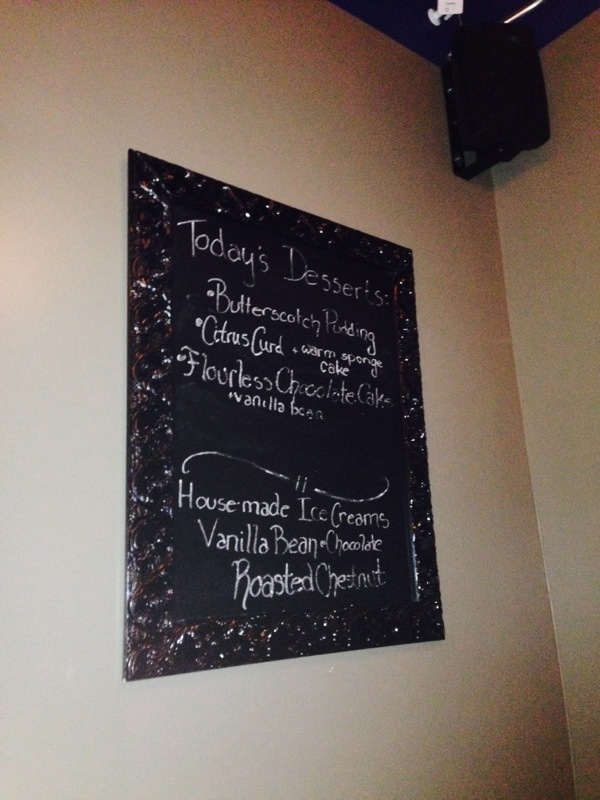 Several of my fellow dinners mixed dessert items and dipped their madeline or floured chocolate cake in their butterscotch pudding – so brilliant! The flourless chocolate cake is a dense, chocolaty cake that will make you feel like you’re really treating yourself to something wonderful. 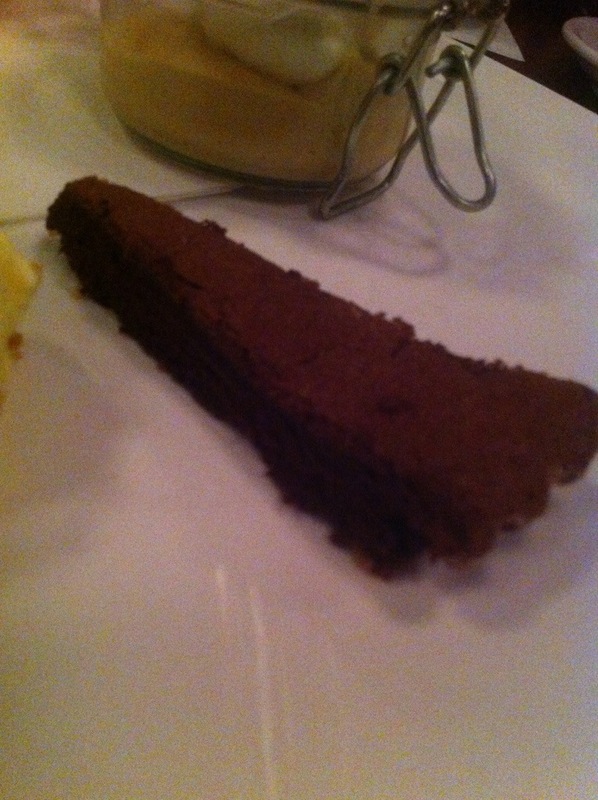 Paired with the very good vanilla bean ice cream, the flourless chocolate cake is a perfect choice for a classic dessert when you order a sweet plate at Bistro B.
Madelines are one of my favorites, so I was very excited to see them on our sweet plate. With a consistency that I’d describe as a lovely cross between a soft and chewy cookie and a bite of a spongy cake, the madelines at Bistro B were delicious and perfect for someone who doesn’t want something that is too heavy. 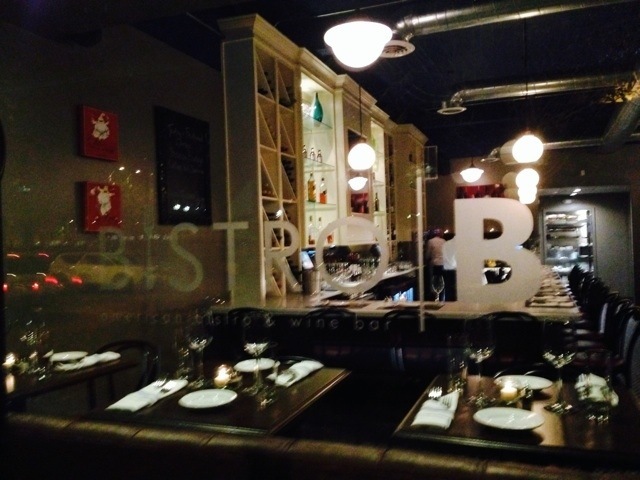 Take a peek and check out Bistro B, whether it’s for a small plate or a sweet plate or anything in between, I know it’s a place you’ll want to commit to and where you’ll enjoy very good food and friendly service in a trendy and cozy atmosphere. Disclaimer: I was invited to this media dinner, however the views and opinions expressed herein are my own.